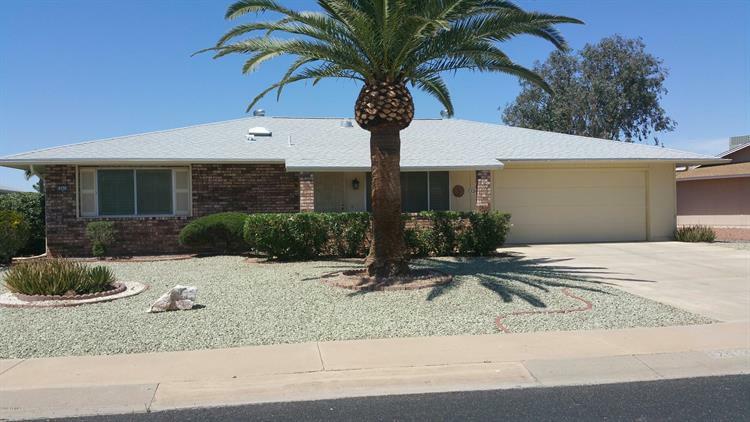 for $189,000 with 2 bedrooms and 1 full bath, 1 three quarter bath. 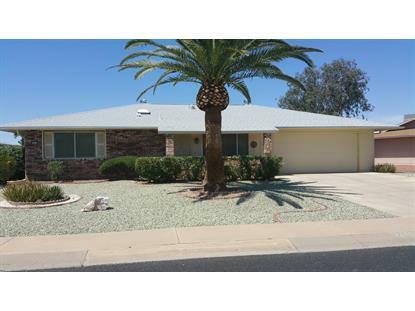 This 1,644 square foot home was built in 1979 on a lot size of 10553.00 Sqft. Fresh, clean and move-in ready. One of the final phase homes built by Del Webb in Sun City, this expanded Woodbury features plantation shutters throughout, as well as roller security shutters on most windows--ideal, especially if you plan to be a snowbird. Highlighting neutral tones, just prior to listing the interior was painted, and new carpeting was installed. A new roof was added in April of 2015 and the HVAC unit was replaced in December of 2018. There's 2-car garage and lots of storage. The over-sized laundry room could also accommodate an office and/or craft room. Buyers will appreciate the large cul-de-sac lot with mature landscaping. Sun City is an adult 55 community, where recreational and social activities abound.